In closing, I was going to say I don’t remember what we did without You Tube but that would be a big fat lie. I remember perfectly well what we did and that was, we’d watch really bad video tapes that were hard to store and even harder to find on shelves, usually caked with dust. Once we got the tape in the VCR it had to be fast forwarded and rewound so many times, so maybe, just maybe you could find that segment of Soul Train you were looking for but started to regret you ever taped in the first place, since if you hadn’t taped it, you wouldn’t be messing around with a stupid remote control that never worked because the battery was like 10 years old to begin with. Recalling this foolishness, I am wasting my own time and now yours, when all I mean to say is, just try to imagine how I felt when I found this clip of “Yes We Can Can” today, because I can’t possibly describe the feeling of joy, such joy—not in 250 words or less I couldn’t—though I will add this: If there is one song to have had burned into your consciousness, to have been etched onto your soul, and sent with you on your way into the world, this one isn’t a bad one to have that be. 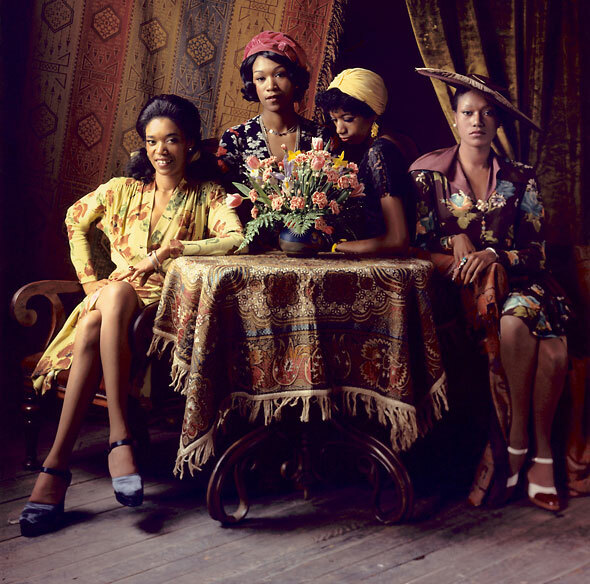 Bless you, Mr. Allen Toussaint and Ms. Pointers, Anita, Ruth, Bonnie, and June. Thank you for the record—and for my memories. Great gosh all mighty. On this day in 1965, Malcolm X was assassinated, shot mulitiple times at the podium of the Audubon Ballroom where he was about to address the Organization of Afro-American Unity. Thousands flocked to Harlem over a three-day period to view his body before the burial. Malcolm Little was born in Omaha, Nebraska in 1925 into a Baptist family; his father was a follower of Marcus Garvey and educated his son on all matters of black pride. 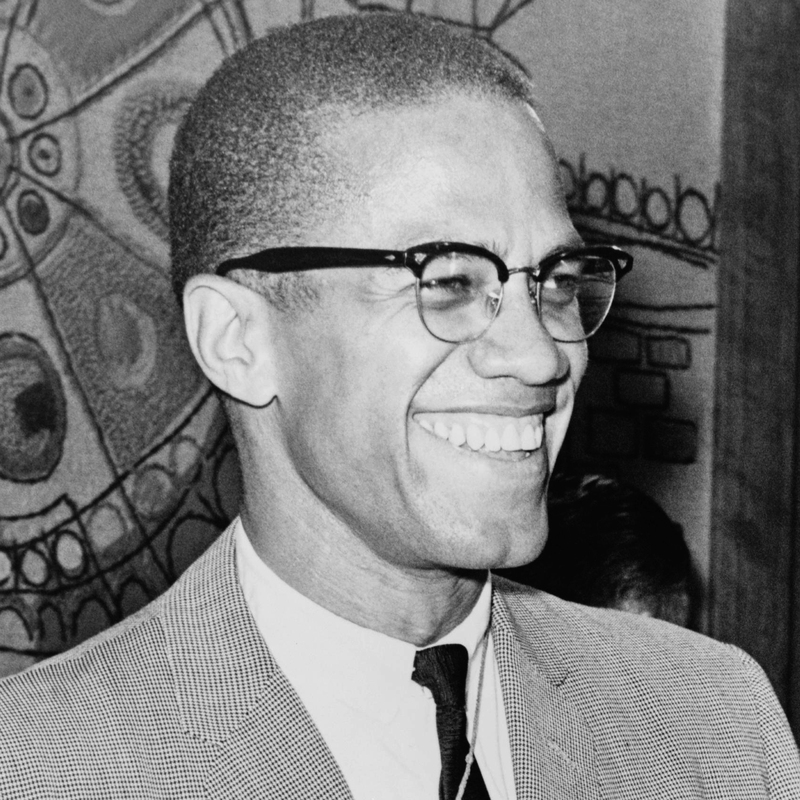 While serving a prison sentence in the 1950s, he learned about the Nation of Islam and began a correspondence with Elijah Muhammed; by the time of his release he’d joined the organization and changed his name to Malcolm X. An immediately charismatic leader at Temples one, 10, 12, and seven, his musician following included Etta James, Johnny Otis and saxophonist Archie Shepp. In 1964 ,he left the NOI and made his way to Mecca. As a Sunni Muslim, El-Hajj Malik El-Shabazz came to believe that Islam was the way toward racial harmony. Twenty years after his death, the legacy of Malcolm X had largely not been passed down to the next generation; certainly, his contribution to the black liberation cause had not been fully incorporated into history texts despite the perennial popularity of the considered classic, The Autobiography of Malcolm X, a collaboration with Alex Hayley. But leave it to music—in particular Public Enemy—to recognize and close the gap. The New York hip hop collective began to use Malcolm X’s teachings and speeches in concert with their videos and recordings (Boogie Down Productions and KRS-One and Spike Lee’s film, Malcolm X, also played a major role in the comeback; the efforts were not without controversy at the time). Some say Malcolm X should have a day of his own. But until that’s organized, there are films, speeches, books and songs, like this tribute from musician, poet and educator, Archie Shepp, taken from his 1965 album, Fire Music. A reading from Keep on Pushing follows. Come Back, Africa is a rare piece of cinema: Not only will fans of cinéma vérité, Italian neorealist, and French new wave film find much to love about its style, historians will find it to be a valuable film document of an otherwise largely unrecorded period in Africa’s history. 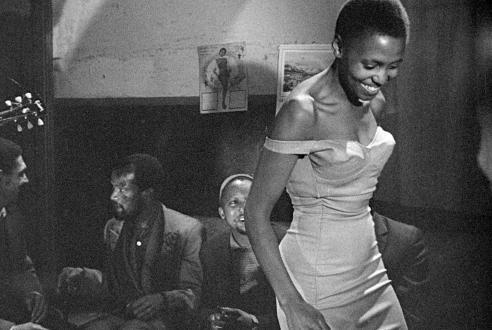 At once a brilliant documentary and strong anti-apartheid statement, Come Back, Africa is also jammed with music: From the streets and townships of South Africa to its speakeasies or shebeens, Come Back, Africa introduced singer Miriam Makeba to the world. Among those impressed by the Lionel Rogosin film was Harry Belafonte; the actor/singer/activist would become a mentor, friend and benefactor to Makeba, would help her secure gigs, and would set her in the direction of performing the sounds of South Africa around the globe, while spreading the word against apartheid. With South African writers, Bloke Modisane and Lewis Nkosi, Rogosin developed a filmic narrative driven by the dilemma of people being forceable removed from their land. Come Back, Africa “laid bare apartheid’s ruthless cruelties,” wrote Belafonte, as it tells the story of Zacharia, a man who leaves his country life, his wife Vinah, and their children, to seek work in Johannesburg. What he finds there are unfamiliar laws rooted in racism and a series of dead-end jobs. He confronts inadequate housing and street violence, though a handful of souls provide sanctuary; he is introduced to political ideas and dialogue by the artists and writers of the Sophiatown Renaissance. Putting non-actors to work amidst the unrest, Come Back, Africa depicted dignity and tragedy; it exposed tremendous human failing, and it revealed glimpses of humanity and compassion. A prize-winning documentarian for his first film On the Bowery (concerning the men on New York’s Skid Row in the late ‘50s), Rogosin made Come Back, Africa largely in secrecy, under the pretense that he was making a travelogue of South African music. He was eventually granted permission to make the film; Time Magazine called it one of the best films of 1960 (alongside The Apartment and Elmer Gantry). “I took a vow at the end of World War II to fight fascism and racism wherever I saw it,” he said. Writer, producer and director Rogosin was characterized by John Cassevettes as “probably the greatest documentary filmmaker of all time.” He founded the Bleeker Street Cinema and would continue to make films, though later in life, he would have trouble finding the funding for his projects. Come Back, Africa, starring Zacharia Mgabi, Vinah Bendile, and featuring Miriam Makeba, has been beautifully restored and is currently in re-release. It screens at San Francisco’s Roxie Theater from February 3-8.